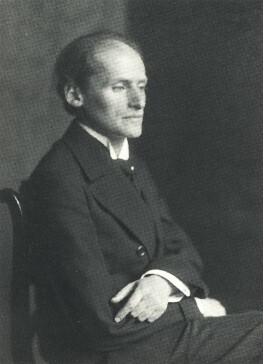 Carl Friedberg studied from 1883 until 1887 at the Dr. Hoch Conservatory in Frankfurt, first with James Kwast and then two years with Clara Schumann. Already at the age of 21 he was employed as a piano teacher at the Frankfurt Conservatory, where he taught until 1904. From 1904 to 1916 he taught at Cologne and then went to the USA. In New York he taught at the Institute of Musical Art, which was later united with the Juilliard School of Music. During his long teaching career he trained great pianists, among them Ernst Freudenthal, Ilse Fromm and Yaltah Menuhin. But also his concert career was extremely successful. He has played together with Julius Stockhausen, Eugène Ysaye, Pablo de Sarasate and Fritz Kreisler. Carl Friedberg used his excellent technique exclusively rather for musical matters than for himself. For him, the Belcanto, the singing in the interpretation and the expressive sound were of essential importance. In 1953, at the age of 81, Friedberg was persuaded to record some of Schumann's works, including the Symphonic Etudes and the F-sharp major Romance op. 28/ 2. He was well known for an extremely gentle pianissimo, a breathtaking legato and a very clever use of pedal.